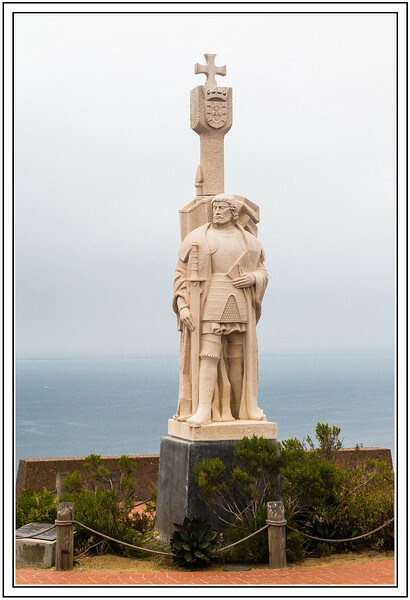 San Diego, CA - Cabrillo National Monument is at the southern tip of the Point Loma Peninsula in San Diego, California. It commemorates the landing of Juan Rodríguez Cabrillo at San Diego Bay on September 28, 1542. This event marked the first time a European expedition had set foot on what later became the West Coast of the United States. The site was designated as California Historical Landmark #56 in 1932. As with all historical units of the National Park Service, Cabrillo was listed on the National Register of Historic Places on October 15, 1966. [Wiki] Link to Photo Without Frame Thank You for Making this Daily Photo Tied for the # 4 Pick on 01-20-2018. Looks like it has a great overlook of the ocean from that point.